Everyone in the league has a dope set of wheels, but only one man can have the dopest. Blake Griffin's matte black GMC Denali is 'ight. 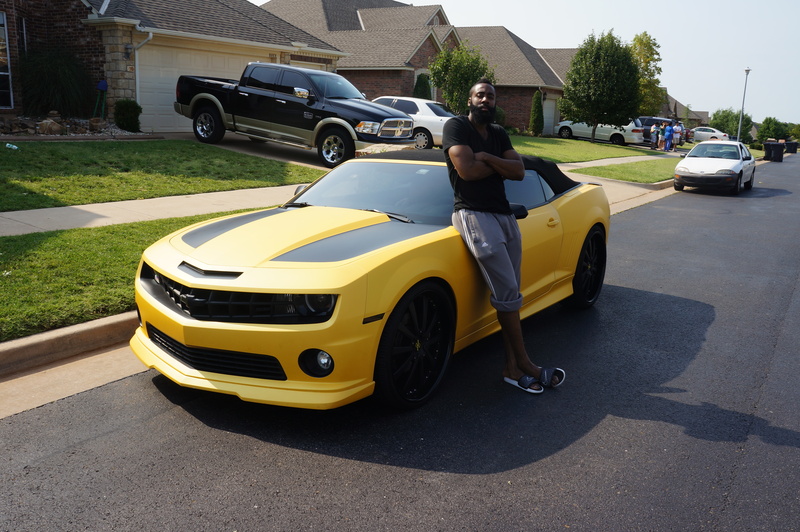 And James Harden's yellow Chevy Camaro is decent. Kevin Durant's red Ferrari California seems par for the course. Lebron's Ferrari F430 Spider is respectable. And D-Wade's red McLaren that he got for free on his birthday is admittedly pretty cool. To Shawn Marion's unique ride. Someone give that man a helmet. That thing is barely bigger than a moped.